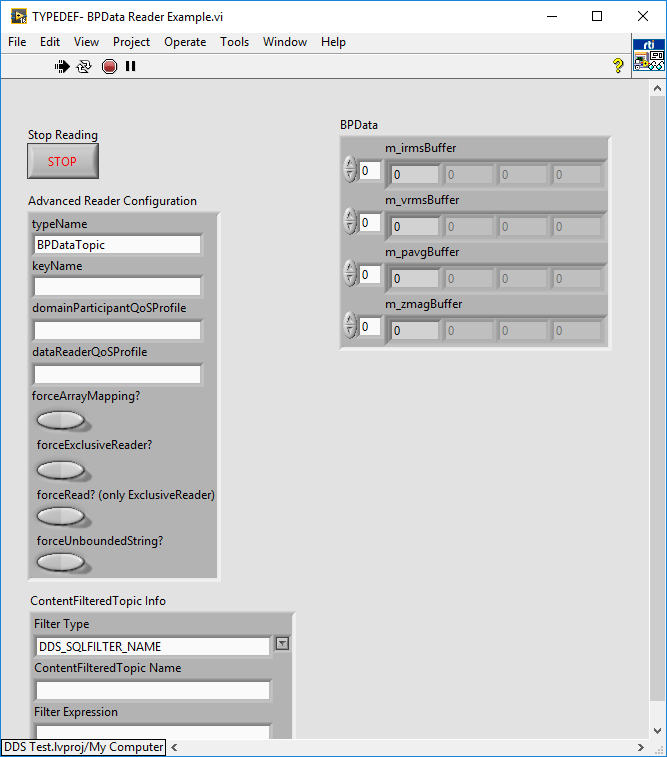 The LabVIEW Data type is attached, and I am initializing the array before passing it to the creation function. The developers created a topic publisher for me to debug with. I'm getting a full match on the match graph. The sequence is showing up with the correct amount of elements (the test publisher only has 1 incrementing number). However, the value of the first element is always 0 in LabVIEW. I can subscribe to this topic in the admin console and see the rolling counters in these sequences, so the data is there, just not getting through the DLL/LabVIEW. This is a known bug. It happens when the arrays size is lower than the maximum specified size. You can work around it this by sending always the array with the maximum size (650 in this case). This will be fixed in the next release.